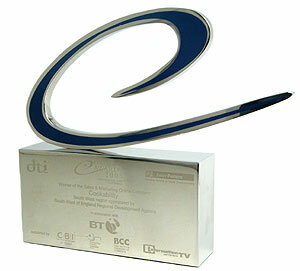 The prestigious government award is in recognition of Cookability’s innovative Sales & Marketing using its web site. Cookability now goes on to represent the South West region at the national finals on October 6 2005 with the opportunity to win £50,000. "We are thrilled to win this award." said Kristy Kitchen, Owner. "This shows that with the right technology even the smallest independent shop can thrive, we are showing excellent growth despite the gloomy economic climate. The growth of our web site has allowed us to offer a wider range of products to the customers via our High Street shop in Wotton-under-Edge, a popular destination for discerning shoppers." Cookability has been establishing itself as an on-line cookshop over the last three years working with a number of suppliers to offer a broad range of quality cookware products at competitive prices. Fabian King, head of ICT at the South West RDA, said: "These awards demonstrate how small and medium-sized companies in our region are making more sophisticated use of ICT than ever before to develop their business. ICT is one of our priority sectors and plays an important role in the region's economic prosperity, so we are delighted to be able to support the awards, and wish the region's businesses the best of luck at the national final in October." For more information please see www.cookability.biz.